When we were brainstorming for the March Shoplindsey x Beau & Arrow collection, I knew that I wanted to add a Kimono to the line. 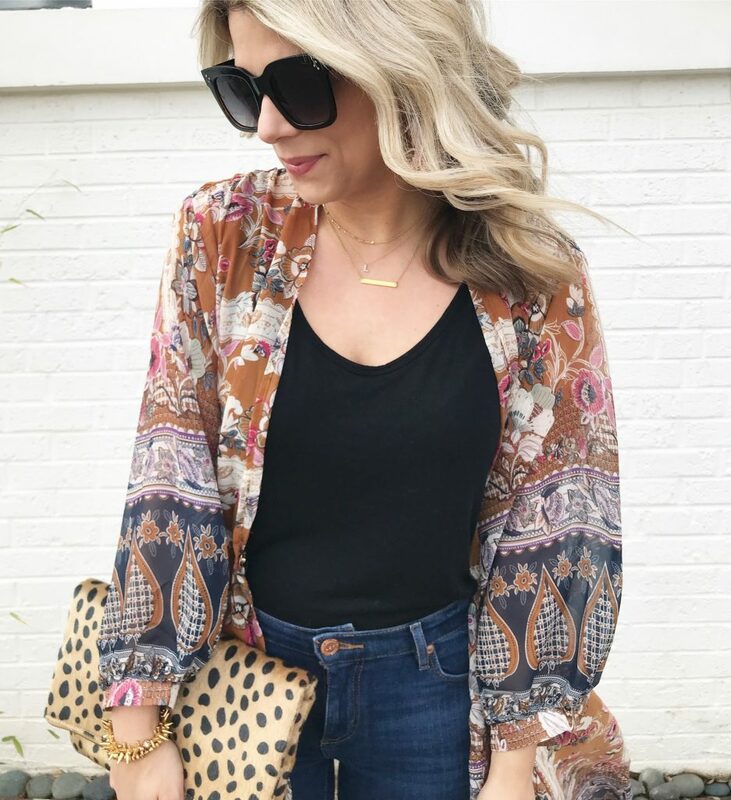 My Pinterest Board is full of different ways to style them and my online carts all over the internet have a Kimono in each one! 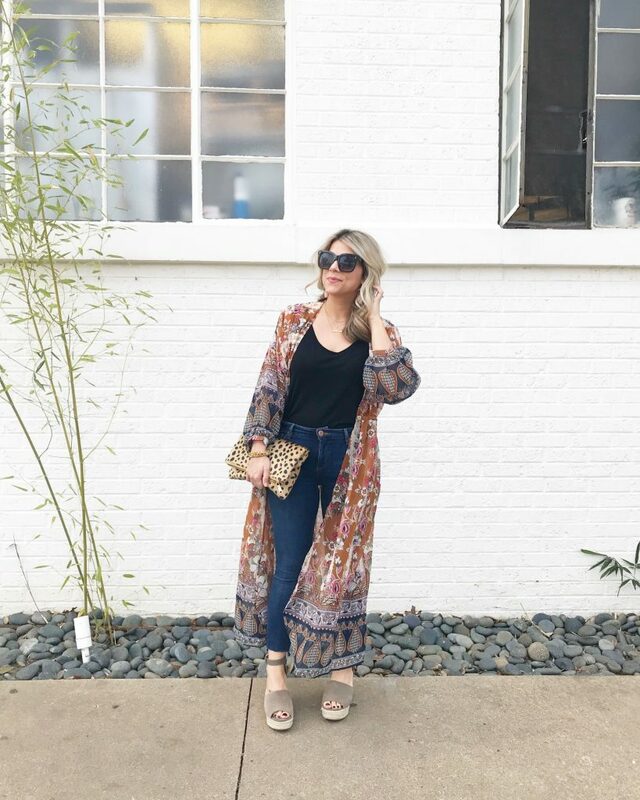 I love how by just adding a fun printed kimono you can change the entire style of a look. 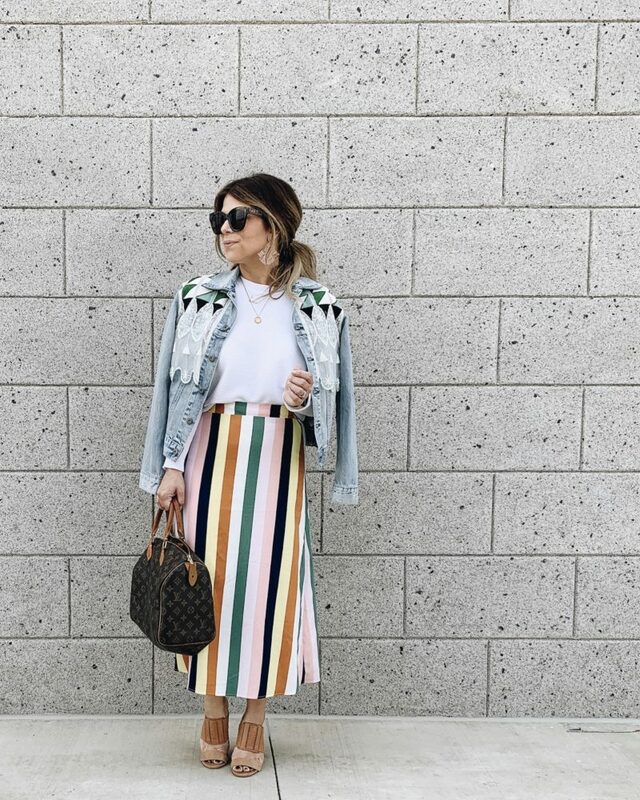 You can dress it up with a monochromatic base, heels and statement jewelry or throw it on over distressed jeans, a white tee, and your favorite mules. I feel in love with this particular kimono for several reasons – The snap closure, pockets, duster length, balloon sleeves- but most importantly, the colors. They are so vibrant and whimsical. Pink, purple, navy, and this gorgeous rust color that will allow you to wear this kimono all Spring and Summer and then straight into Fall! It’s gorgeous. You can read more about my collaboration with Beau & Arrow here.